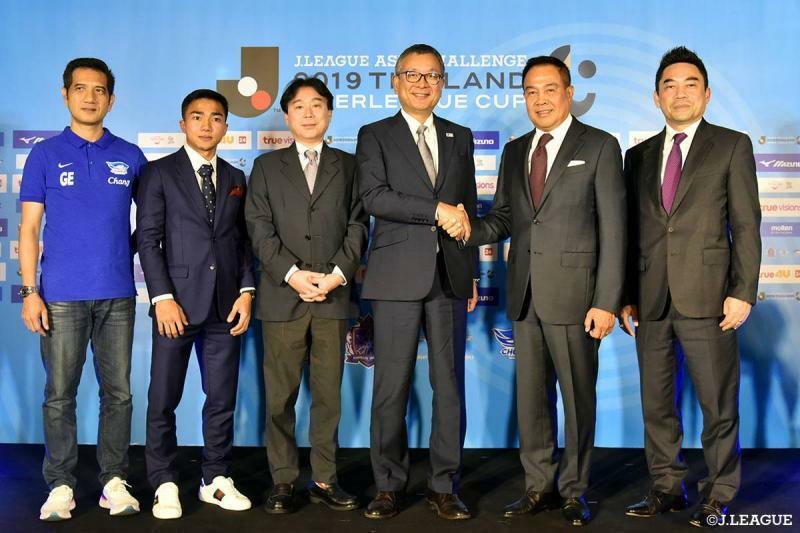 The ties between Thai and Japanese Football are set to be strengthened even further this weekend, as Sanfrecce Hiroshima and Consadole Sapporo are set to face Chonburi FC and Bangkok United respectively during a pre-season tour of the South-East Asian Nations. Both Sanfrecce and Consadole have become incredibly popular in the Thai market, having fielded Thai players in their J.League campaigns last season. And while Teerasil Dangda may have already ended his loan spell with the former, Chanathip remains a fan favorite in Sapporo after winning the club’s MVP award last season and being nominated for the J.League Team Of The Season. As such, both clubs have taken the opportunity to expand their outreach in Thailand with pre-season tours. Chonburi FC will host Sanfrecce Hiroshima on Saturday, January 26th. Meanwhile, rather curiously, Bangkok United will be playing Consadole Sapporo at the SCG Stadium, the home ground of rivals Muangthong United. It remains unclear whether Chanathip will return to his club side for this match, having only recently been eliminated from the 2019 AFC Asian Cup with Thailand. After finishing second and fourth respectively in the J.League last season, Sanfrecce and Consadole represent two of the strongest clubs sides on the continent currently and will provide a valuable opportunity for Thai clubs to test themselves against the best.